If you’re a presenter, you’re well aware of how important the audience experience is to the overall success of your event. You can have the best content in the world and the most exciting pitch ever, but with a bad experience, that will get lost. To make sure you don’t lose the benefit of a presentation experience, follow these five tips: pay very close attention to audience seating arrangements, keep the climate in the room under specific control, high quality audio must be a given, be sure to cater to the shortest feasible attention span, and try to emphasize a single point. 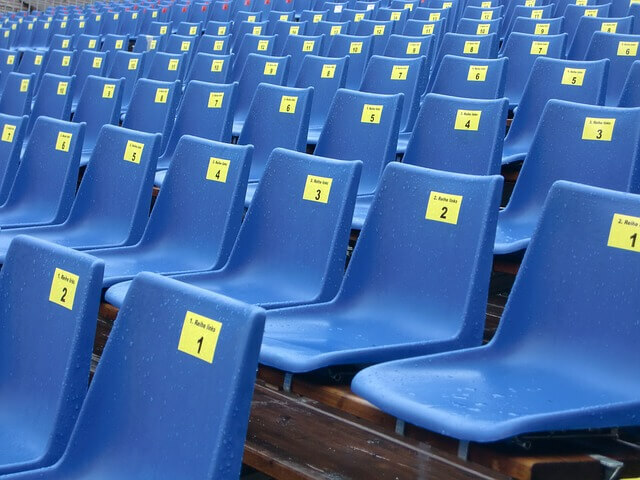 Uncomfortable seating is one of the easiest ways to lose an audience. By finding examples of seating that are super comfortable and aesthetic, you’ll see there are actually quite a wide set of new and tech savvy possibilities when it comes to controlling the layout and comfort level of an audience. Auditorium seating, cinema seating, and waiting room seating all have their own time and place, and it’s good to be aware of circumstances that call for each. If it’s too hot or cold, too dry or too humid, the audience experience is going to be ruined. Depending on the size of the presentation room, choose the appropriate air conditioning system and make sure that it’s running properly on the day you have chosen to present. The latest technology makes them quiet and effective. Look for hints the audience is uncomfortable by watching body language and if they have coats they keep on or take off. People will remember bad audio even if the message being presented as good. It doesn’t’ matter how much it costs, hire an audio engineer to get the speakers, amps, and microphones working and do a test run. Learn about PA systems yourself so you at least understand what is going on. You might be able to help the sound technician during the presentation if anything goes wrong. Modern speaker systems are small and sound brilliant! If you cater to the lowest common denominator when it comes to attention span, then you know that your presentation will reach everyone in the room. Keep your language direct and avoid anything that will waste the time of the people there. Use a timer app if you need to. Especially when presenting about technology, keep your presentation focused on a single point. You can use computers, PowerPoint, projectors, and awesome audio visual machinery, but keep the message itself as simple as possible to make sure the story hits home.